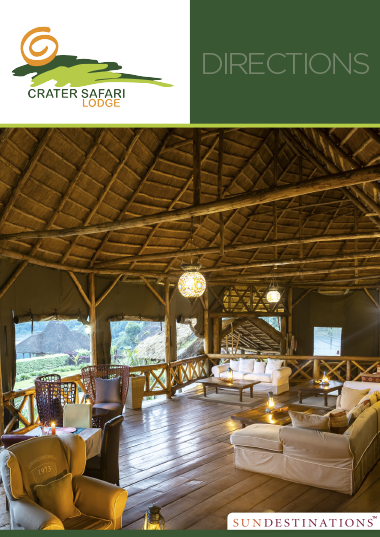 Crater Safari Lodge is an eco-friendly lodge complete with a swimming pool on sprawling lawns, a relaxation lounge area, boma with campfire and spectacular views of the crater. 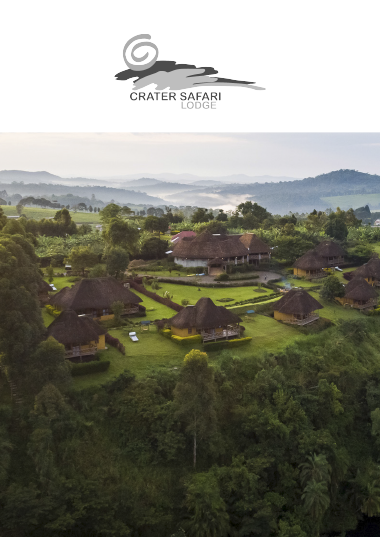 Crater Safari Lodge has been designed in such a way that it doesn’t intrude on its pristine surrounds, and is a solar powered eco-friendly lodge. 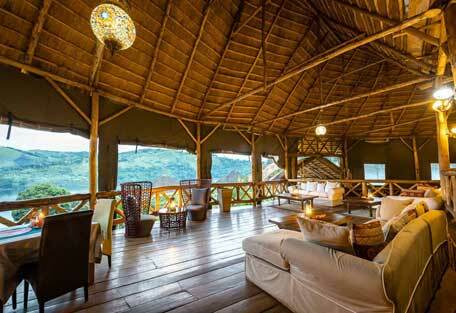 The camp is sprawled across lawns and lush vegetation resting on the banks of the second largest crater lake in Uganda. Wooden thatched chalets with expansive wooden balconies provide the perfect luxurious jungle escape, and garden swings dotted between chalets offer private places for relaxation. The central area is an expansive wooden area housing an open-plan lounge with balcony, dining area and intimate bar area. There are massive couches in the relaxation area that have views extending across the lush lawns, chalets and crater lake. The lounge flows through to the dining area and tea/coffee station, where many tranquil evenings are spent sampling local fare. 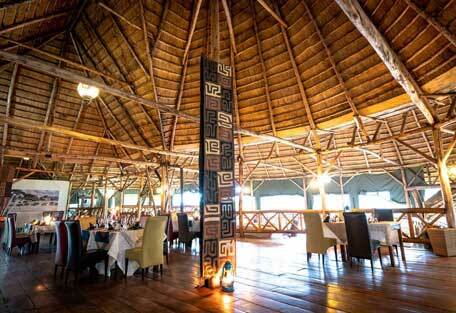 The boma area is the perfect spot to relax after dinner, and there's normally a roaring campfire designed to create a cosy atmosphere. From the boma area you'll see winding paths linking the rooms, and another path that snakes its way down to a jetty area on the water's edge. This spot is used for romantic dining sessions and is also ideal for birdwatching. 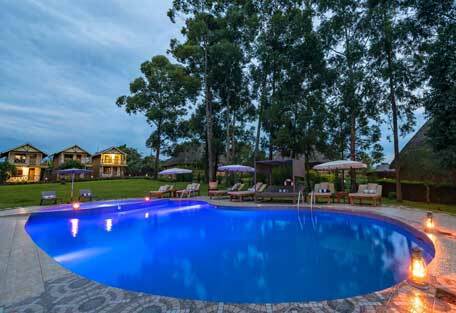 The swimming pool is a much-needed highlight during the hot summer months, and offers respite from the African heat. Perfectly manicured lawns surround the pool, and deck chairs adorn the perimeter of the sparkling blue waters. There is also a pool service at your disposal - kick back, relax and order a drink from our friendly staff. 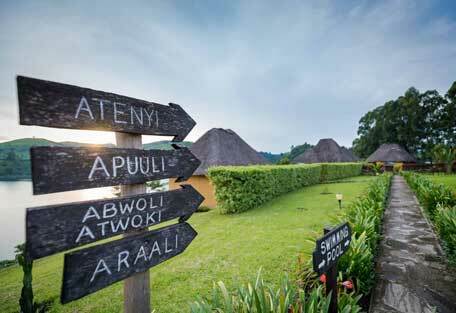 The national park protects a moist evergreen rain forest and is located a mere 7 km away from the lodge. 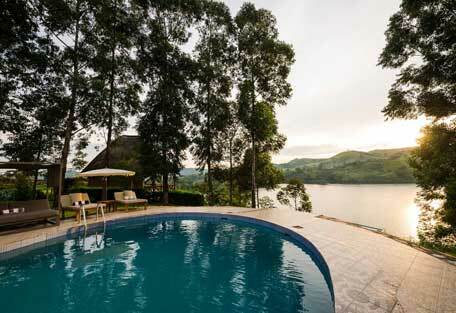 Uganda's second largest crater lake rests on the edge of the lodge, and the popular "Top of the World" viewpoint sits on the opposite shores of the lake. 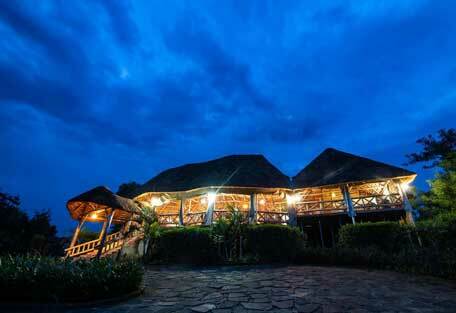 There is abundant birdlife surrounding the lodge, and even a hippo in the crater lake. 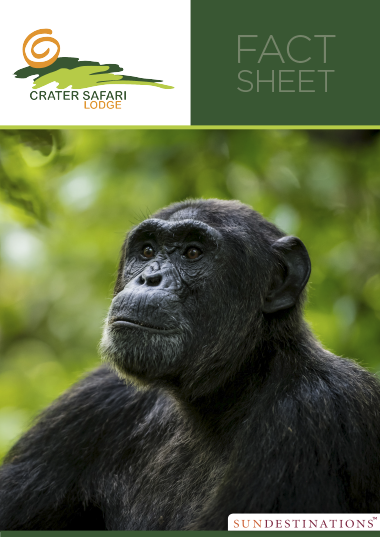 Crater Safari Lodge is in a remote area and the journey to paradise is long, but eye-opening and scenic. The quickest route is by air. 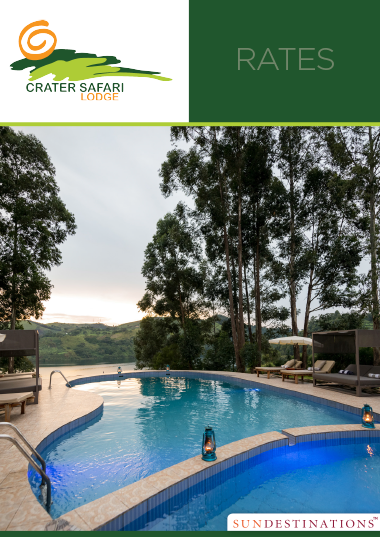 Crater Safari Lodge is located 7 km from the tropical rainforest of Kibale Forest National Park and is located on the banks of the Nyinabulitwa Crater Lake. 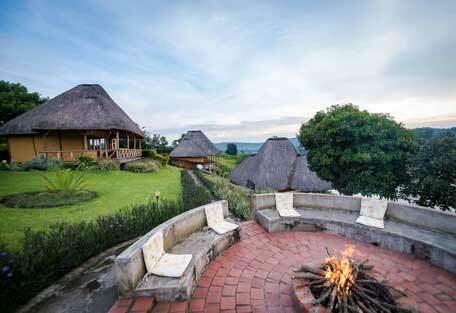 Fort Portal is the closest town and is 22 km away. Guests can fly into the main Entebbe International Airport (EBB) and catch a connecting flight to Kasese. From here, a road transfer to the lodge can be arranged and will take approximately two to three hours, depending on the road conditions. 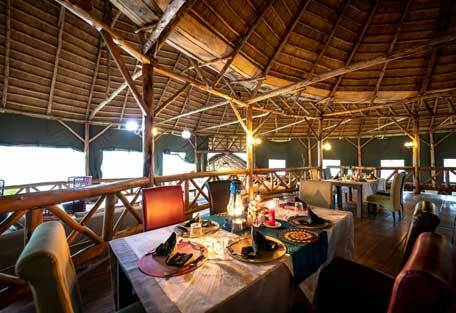 Alternatively, guests can get a road transfer with a private driver from Entebbe to Crater Safari Lodge. This can take anything from 5 - 7 hours.